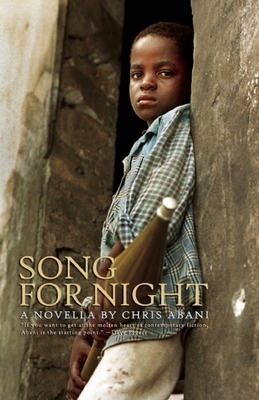 Part Inferno, part Paradise Lost, and part Sunjiata epic, Song for Night is the story of a West African boy soldier's lyrical, terrifying, yet beautiful journey through the nightmare landscape of a brutal war in search of his lost platoon. The reader is led by the voiceless protagonist who, as part of a land mine-clearing platoon, had his vocal chords cut, a move to keep these children from screaming when blown up, and thereby distracting the other minesweepers. The book is written in a ghostly voice, with each chapter headed by a line of the unique sign language these children invented. This book is unlike anything else ever written about an African war. Chris Abani is a Nigerian poet and novelist and the author of The Virgin of Flames, Becoming Abigail (a New York Times Editor's Choice), and GraceLand (a selection of the Today Show Book Club and winner of the 2005 PEN/Hemingway Prize and the Hurston/Wright Legacy Award). His other prizes include a PEN Freedom to Write Award, a Prince Claus Award, and a Lannan Literary Fellowship. He lives and teaches in California. Chris Abani, curator of Akashic's Black Goat poetry imprint, is a Nigerian poet and novelist and the author of Song for Night, The Virgin of Flames, Becoming Abigail, and GraceLand (a selection of the Today Show Book Club; winner of the 2005 PEN/Hemingway Prize and the Hurston/Wright Legacy Award).